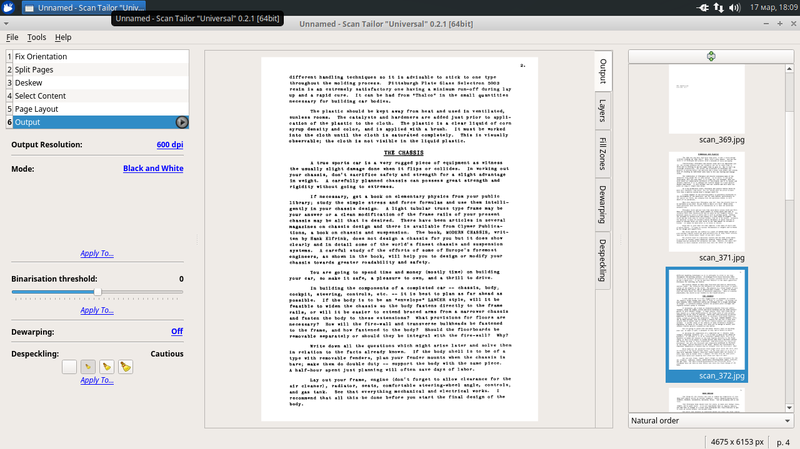 Scan Tailor Universal is an interactive post-processing tool for scanned pages. It performs operations such as page splitting, deskewing, adding/ removing borders, and others. You give it raw scans, and you get pages ready to be printed or assembled into a PDF or DJVU file. Scanning, optical character recognition, and assembling multi-page documents are out of scope of this project.